Why has granite become so popular as a countertop? There are many man-made materials; stainless steel, laminate, epoxy, concrete, and even glass. Natural products like marble, limestone and the subject of this article, granite have become fashionable and much more affordable in recent years. Whether man-made or natural, each material has its own price structure and advantages. However, there are several reasons for granite’s attractiveness. Raw material price is down. There are over 50 different countries that quarry granite. Supply is up and technology changes have reduced both production and logistical costs. Don’t misinterpret, we’re not suggesting that granite is cheaper than laminate covering, but the cost per square foot of granite is about a quarter of what it was in the 1970’s. The beauty is fascinating. There are over a thousand different color palettes each with unique composition, secondary colors, and patterns. Major color categories include (and these are natural, mind you); white, beige, yellow, gold, green, blue, red, burgundy, brown, grey, and black. If the dizzying color palette isn’t enough, every design and pattern in the stone is different. In other words, your countertop is one-of-a-kind. The availability of semi-finished and pre-fabricated products has increased. Pre-fab Countertops. Imported stone products are cut to spec and finished before they are exported. They are often used in multi-unit construction where there is very little variation in layouts. It’s easy to order hundreds or even thousands directly from the manufacturer, online. Blanks. These are strips pre-cut to standard countertop widths. This allows cutting and fitting to be done at the jobsite. While kitchen islands, creative applications, and installations with complex miters or curves can present challenges, this is a notable option for big box retailers and kitchen contractors. They can either bid more cheaply or make more profit using these semi-finished strips. Custom. Manufacturers of custom surfaces make your countertops from the generally standard 8.5’ x 4.5’ slabs of your chosen stone. 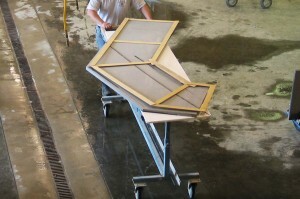 There are two installation technologies used in custom countertop manufacturing. Mock Up. 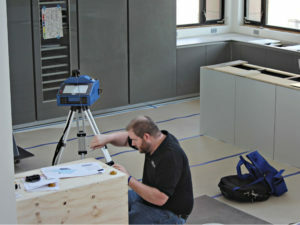 The installer actually builds a replica of your countertop on site. They use light materials and glue to put together the model which they then transport back to their shop. 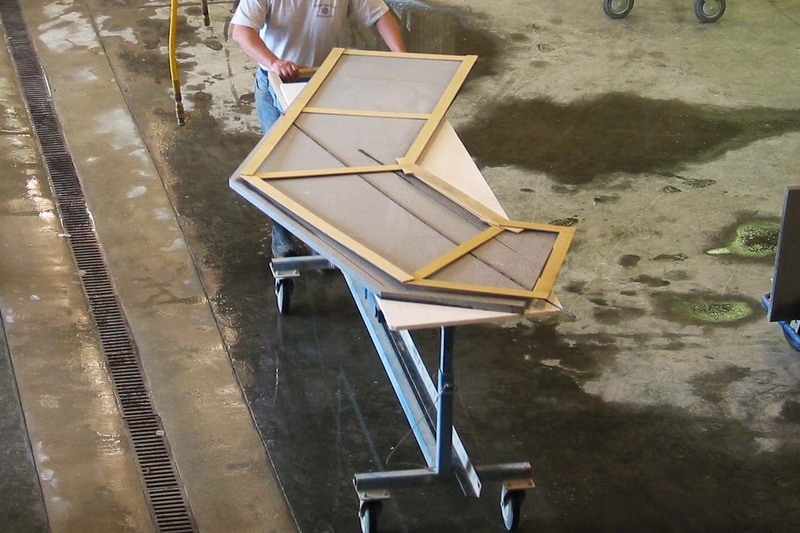 By creatively cutting and joining, the manufacturer can utilize the unused slab material in other projects. While the grain of some stone can be visually unforgiving at the seams, this approach represents cost savings for homeowners requiring custom work. CNC. 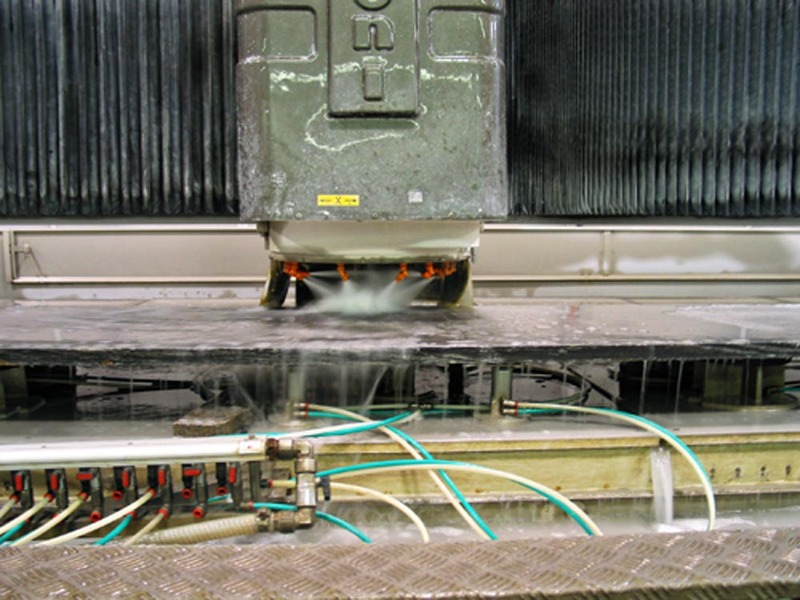 The manufacturer uses sophisticated measuring technology along with CAD systems and specialized flatbed CNC machines to produce the finished product. They can cut entire slabs at one time resulting in finished countertops with no seams. In situations requiring seams, the technology allows for the creation of visually undetectable joints and more precise fits. However, joint-less countertops can result in unusable leftover material which potentially increases cost. Everyone has unique requirements, but there is a reason that the contractors who use blanks and mock ups for their clients’ kitchens have chosen StoneKitchens.com’s CNC technology to do the countertops in their own homes. Please, contact us to find out why. StoneKitchens.com: Fewer Seams. Better Fit.